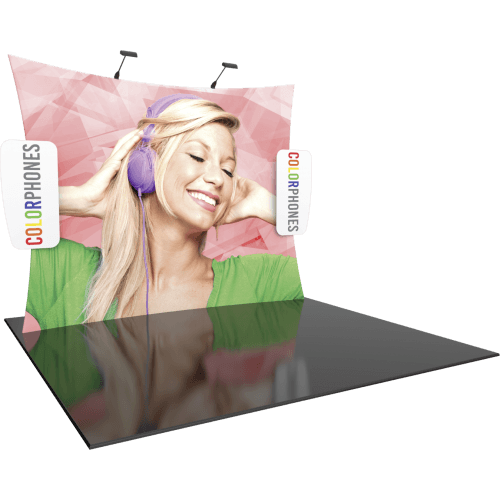 Formulate® Designer Series 10ft Fabric backwall Kit 12 features a sleek, geometric shape and graphic accents. 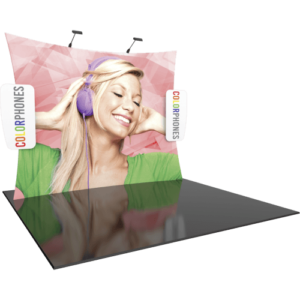 The kit includes an aluminum tube frame with snap-button connections, three zipper pillowcase fabric graphics, one for the backwall and two for the left and right hand graphic accents, as well as two Lumina 200 LED lights. Designer Series Kit 12 comes in a portable, wheeled transit case for easy storage and transport. Assembly is easy – simply connect the tubes, pull the pillowcase fabric graphics over the frame and zip.